Many small businesses are using poor technology to run their business email addresses. 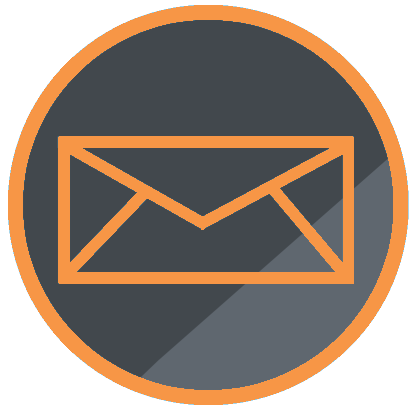 We want to talk you through the different technologies for your business email addresses and explain to you why there is really only one logical choice. With so many email options available, from multiple suppliers, companies and more, then it can often be difficult to choose which the best one for your business is. Thankfully, you can ignore all of that and just focus on the technologies which will make your life much simpler and easy to understand. POP and SMTP email technologies are the simplest of all the options, yet simply aren’t suitable for most businesses. POP stands for Post Office Protocol and is designed to receive emails. SMTP stands for Simple Mail Transfer Protocol and is designed to send emails. IMAP stands for Instant Message Access Protocol and is designed to store and retrieve emails from a central location such as your mail server. Exchange email technologies are the only choice for businesses. They resolve all of the problems that are present with POP/SMTP and IMAP technologies and give you some awesome benefits too. Exchange doesn’t stand for anything. It is a fully functional cloud based mail server, and then some. Your mail server simply acts as a mail forwarder to a certain extent. It is designed to send and receive emails in the style of ‘do and forget’. What this means is that your mail server will never store any sent or received emails for you, it simply passes them on to you to deal with. For example, if you are running the desktop email client, Microsoft Outlook, then all of your sent and received emails are stored locally on your computer. Your mail server stores all of the emails that you receive in the cloud so that you can access these emails from anywhere at any time. Exchange server works by synchronising everything between all of your devices automatically and magically. If your computer gets stolen, breaks or you spill a coffee all over it, then you have lost all of your emails. Hence why this technology is simply not suitable for most businesses, purely around disaster recovery aspects. What this also means is that when you access your emails from another computer, device, mobile or tablet, then there are going to be huge synchronisation issues. For example, if you read an email on your mobile phone, then you will not be able to read that same email on your laptop because when your laptop pings your mail server, there is no email there as it has already been sent to your mobile phone. This can cause a lot of headaches for people. IMAP technology can be slightly different based on who has configured the mail server. Some of these problems are more prevalent than others. When read an email on one device, this often isn’t automatically updated on all of your other devices. The reason for this can be down to the communication between your local email client and your mail server which aren’t talking to each other properly. This can be the case between desktop email clients and mobile phone application clients for reading your emails. What this ultimately means is that you have to read all of your emails on every device that is receiving them which is clearly not an efficient use of your time, especially if you have 3-5 devices which many business people do. One of the main problems with IMAP technology is around storing sent emails in an efficient way. IMAP was only designed to store received emails in a central location, not sent emails. What this means is that when you send an email from your mobile device or tablet, then this email will not show up in your sent items on your desktop or laptop computer. This can be very frustrating when you are trying to find an email that you sent and having to check every single device each time. With IMAP mail servers, you are often limited to only 2GB of data that you can store. This may sound like a lot of data when you are sending simple text based emails, but what about when you are sending more? Many people will send you large attachments 5-10mb in size which will clog up your data allowance in no time. Even sending simple emails over a longer period of time will soon clog up your allowance. What this means is that when you reach your limit, you will not be able to send or receive emails at all. This clearly is not a good solution and could result in lost sales for your business along with reputation issues when a client has sent some important information through but you haven’t received it. Exchange is the leading technology, there aren’t any problems. It allows you to focus on your business without ever having to worry about email technologies again. The only solution to run your business email addresses is to use an Exchange based server such as Microsoft Hosted Exchange. That’s why we offer business email addresses powered by the awesome technology that is Microsoft Hosted Exchange for an extremely low monthly fee. It’s time to stop worrying about poor email technologies and move over to the only solution for running your business effectively. Focus on increasing customers, innovating your products and services to grow your revenue. Let us set you up on the right email technology for your business. The simplest rule of thumb when looking at what technology you are currently using. If you are paying for your business email address, then it is likely on Exchange already, but this not always be the case. If you are using a free service, then this will either be POP/SMTP or IMAP based. If you aren’t sure, then get in touch and we can take a quick 30 second look to find out for definite for you.